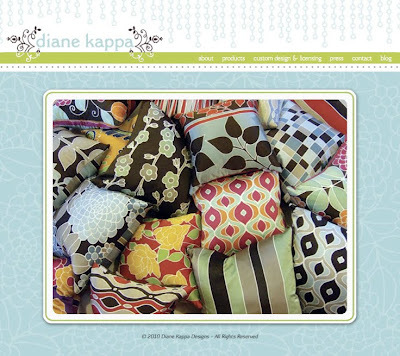 Diane Kappa: new website is LIVE! Finally, after 2 years of procrastinating, months of planning and weeks of tweaking, my new website is up! A little background on the process...it is hosted in the USA, it was designed in Hungary and developed in Estonia! Rene (my amazingly patient web developer) and I never meet face to face to talk about the site. Everything was done via email and Skype. This is a true testament to the fact that you do not need to be located in the same town, state or even country to work on a project successfully. Thank you Rene for all your help and patience! Click here or on the image below to get to my new site! Your new site is beautiful! It may have taken some time, but the results are fantastic. It's visually appealing and easy to navigate. Celebrate with some good Hungarian wine tonight! Thanks Audrey. That means a lot. My (Estonian) web developer used wordpress. I remember you and Dan advising me to try it out. I had Rene develop it and I have been making edits - so easy (so far)! I think I was talking about redoing my website when you and Dan were visiting....finally I did it!